How do you know when you have a good sounding vocal? In my last post I talked about my method for shooting out mics, and now, I want to go into more detail about what to be listening for - what areas should you be paying attention to the most when picking a vocal mic? These are some of the main issues that I see every day in vocal recordings, in order of how easy they are to fix in the mix, from irreparable to easy fixes. I'm going to point out what to listen for, and also some solutions for both before and after you press record. There's no going back if you record a distorted vocal. There are instances where a distorted vocal sounds awesome (especially if you're The Strokes), but most of the time, it makes the vocal sound harsh, thin, and unprofessional. There are many points along the signal chain that can be easily overloaded, especially with an instrument as dynamic as a voice. A loud singer can overload the capsule. Too much gain on the mic preamp can over-saturate. Compressors and limiters will add distortion if not set carefully. Too much level going into your converters adds unpleasant clipping. Simple - turn the gain down!! We all work in 24bit these days, so there's no reason to "maximize" the level into your DAW. All the cool kids hang out in the middle of their meters, you should too. If I'm clipping the converters, I turn down the output from the compressor. If it still sounds distorted but isn't clipping the converters, the signal could be overloading the compressor so I’ll turn down the mic preamp gain, or often just temporarily bypass the compressor to eliminate the chance that it is causing the distortion. If I'm still hearing distortion there's a good chance the mic is being overloaded. I first try engaging the pad on the mic or otherwise it's time for a new mic that can handle the SPL. If you're having trouble determining what is causing the distortion, start by simplifying your signal path and eliminate variables, this will give you a clue as to where the distortion is occurring and where you need to turn down. Distortion is often also the telltale sound of dying gear; if you've turned everything down and the signal still sounds distorted, it's not you, it's your gear. Work your way through your signal path to identify and isolate the dying gear, remember it can be anything in the path including cables! A distorted/clipped/over-saturated audio file is impossible to restore to perfect condition. Sometimes a little bit of grit on a vocal isn’t the worst thing in the world, and actually fits the production, adding edge to a vocal often sounds great. Re-record - if the distortion takes away and distracts me from the performance there’s no sense in keeping it. If the vocalist is available the only way to get a clean version is to redo it. Add more distortion - take it even further, distortion is a bold effect that can really change/add to the vibe of a vocal. The most common way I deal with distorted vocals (when re-cutting isn’t an option) is to kick it up a notch, make it obvious that the distortion was on purpose. Filter around it - Filtering the top and bottom is a great way to hide the ugly distorted areas. Detail is all the little things the microphone picks up and helps reveal the emotion and depth to a performance. The quiet breaths, the subtle long releases, the gentle vocal flip are all details that some mics capture very well and others miss. As the engineer it's up to us to determine if we want to help bring those out or not. 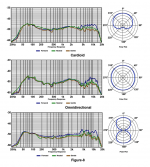 Sensitivity is one of the main specification differences between microphones, measured by dBV. In general, condenser mics are more sensitive and can capture more details and nuance than dynamic mics. If I'm capturing a soft intimate singer/songwriter I want as much detail as I can get, if I'm recording punk rock I want a mic that handles all the energy from the vocalist and doesn't sound "too pretty". Another tip for manipulating detail: for songs with stacked vocals I'll sometimes track the lead vocals with a very detail-oriented mic then use a less detailed sounding mic for the doubles and/or backgrounds to help the lead standout. Just like distortion, detail is pretty difficult to transform after the fact. Change the distance - This is the other way to enhance the detail of a vocal, the closer you get the more detail your mic will pick up along with some proximity effect and mouth noises. If the vocal sounds too present, try backing the vocalist up a foot or two. 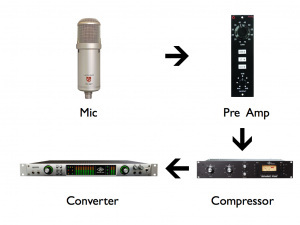 Change the preamp - I discovered when comparing high-end mic preamps that just the preamp alone has a massive impact on the detail and character captured from a mic. Check it out for yourself. Compression - careful use of compression can help bring out the detail in a vocal by reducing the dynamic range of the voice, making things like breaths and inflections more apparent, giving the appearance of added detail. EQ - boosting from 3k on up can help reveal more “details”. The character of a mic is the tonal shape it imparts on a voice, how that fits together with the instruments is the key to a great sounding final production. When choosing "the one" I'm looking for the mic that flatters the vocalist and helps them sit perfectly in or on top of the music depending on the genre. Every mic emphasizes different areas of the voice differently and choosing the right one can help accent the good stuff and minimize the bad. Change the mic - every microphone sounds different, even two of the same model can vary by more than you'd probably expect. The easiest way to change the character of your vocal is to try a different mic. Change the polar pattern - multiple pickup patterns also effect the tone of a mic. Sometimes simply changing from cardioid to omni can help you find the character needed to match the vocalist and the recording environment. Built in filters - many mics have a built in pads and high pass filters which can affect the tone. Some mics like the Lauten Audio Atlantis or the Bock Audio ifet microphones allow you to switch the electronics and emphasis of the mic. Change the impedance - microphones, just like guitar pickups, are sensitive to the impedance they see at the other end of the wire. Some preamps offer this feature; next time you’re tracking through one that has variable impedance try it out and listen to the results. It's a very complex interaction that doesn't really have a perfectly predictable effect on the sound - on some mics it'll have hardly any effect at all and on others it'll be night and day. EQ - if you almost love the vocal sound and it just needs a little adjustment to sit perfectly I never hesitate to patch in an analog EQ, especially if there's a Pultec or something similar in the rack. I'd rather nail the sound on the way in and save me from having to EQ later. EQ - you can easily transform the character of a vocal with an EQ. A warm or dark vocal can be thinned out and have added presence, revealing and emphasizing areas of the voice that weren't apparent before. Saturation/harmonics - One of my preferred methods to change the character is to add harmonics by careful application of saturation/ distortion. This is a great way to give a lifeless vocal some added attitude and presence. Pops are caused by plosives such as "p" and "b" - quick bursts of air escape the vocalists mouth and hit the mic capsule. It's important to remember that we generally are placing microphones in an "unnatural" position, when someone speaks to you in real life they generally don't stand within inches of your eardrum, if they did you would probably appreciate a pop filter as well. 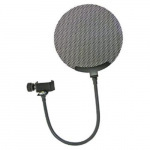 Pop filter - this should be standard equipment for any vocal session. The idea here is the pop filters break up the air before it gets to the capsule. 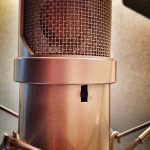 I'm a big fan of this one from Cascade Microphones. 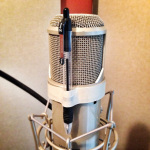 Pop pencil - if a pop filter isn't cutting it, a trick I picked up from a friend is to tape a pencil or pen directly in the middle of the capsule to split any burst of air apart before hitting the mic. Doesn't look pretty but gets the job done. Off axis placement - instead of placing the mic parallel to the vocalist's mouth, try turning it a little so the air hits the capsule at an angle. Careful, this may change the tone as well unless you are using an omnidirectional polar pattern. High pass filter - some microphones and mic preamps have this built in, by filtering out the low frequencies you can erase most of the offensive "pop" noise. Editing - by shortening and adding a little fade in you can preserve the necessary consonant but reduce the explosion of air. Spectral repair - sometimes the trim and fade method takes away too much, then I'll usually reach for something like iZotope's spectral repair tool to magically erase the unwanted low frequencies. Sibilance varies greatly from singer to singer. Sibilance is an important component to our language, forming the basis for sounds like “S” “T” and “Z”. Some singers’ sibilance can be more pronounced than others and pairing it with a close micing can exaggerate it in an unflattering way. This is last on the list because it's one of the easiest vocal sound issues to fix after the fact. If everything else about my vocal sounds great except it's a little too sibilant I generally don't want to risk losing everything I love sonically just to fix something that is easily tamed with processing. Coach the vocalist - well trained vocalists, once made aware of their over sibilant delivery, can help you out and try to lighten up on their "esses" right at the source. Move/aim the mic - once again, because of the unnatural proximity to the microphone esses can be exaggerated, try a little more distance and pointing the microphone downwards, aimed more toward the throat than the mouth. Change the mic - some microphones are especially sensitive to esses so if they are overwhelming the sound then it's time to try a different mic. Desser - a desser is simply a compressor where the sidechain is more sensitive to high frequencies. Many dessers can also be set to only attenuate the high frequencies making them more transparent. Riding the fader - many engineers prefer to de-ess manually, taking away just the perfect amount whereever needed. 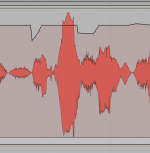 Editing - just like plosives, sometimes it’s best to chop, fade and clip gain your way to a ess free vocal track. Hopefully all this talk about vocal recording issues has inspired you to listen closer the next time you’re getting your vocal tone. Training yourself to have a critical listening ear while tracking is a great skill that will improve every song you work on. Taking just a little more time at the beginning of your sessions to ensure your signal on the way into your DAW sounds fantastic will save you (or your mixing engineer) a lot of time later on.